He welcomed his first son Teddy in December 2013, before the arrival of daughter Ella in February this year. Sweetly holding his father’s cheek with a huge smile on his face, the one-year-old shuts his eyes and gives his dad a peck on the lips. 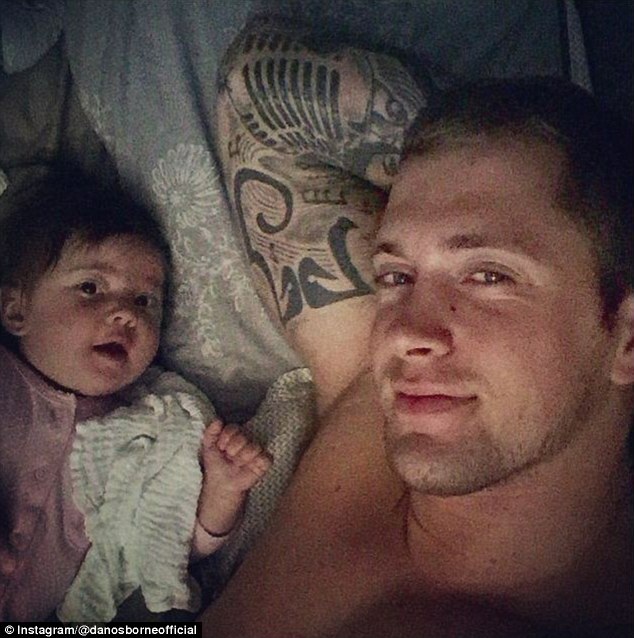 Another precious photo shows Dan snuggling in bed with little Ella, his head resting on his heavily tattooed arm as the father-daughter duo smile for the camera. But it isn’t just the reality star who is revelling in parenthood. 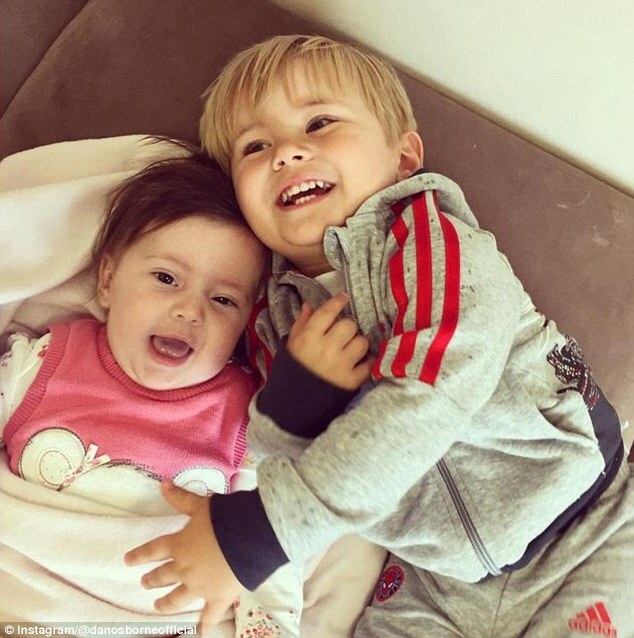 EastEnders actress Jacqueline Jossa, with whom Dan shares Ella, also seems smitten with their little girl and has shared a number of cute snaps of her own. The 22-year-old soap star, who is engaged to Dan, recently shared a beautiful picture of herself gently holding a sleeping Ella in her arms. 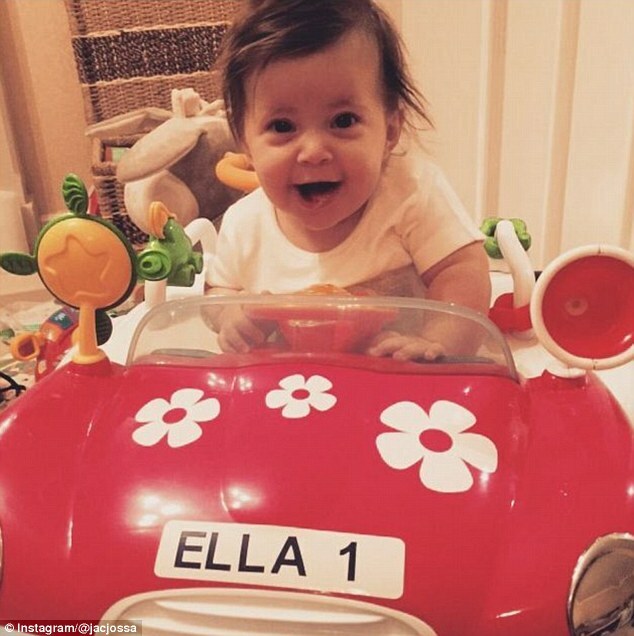 Another showed their bundle of joy positively beaming as she sits in a toy car with a personalised number plate that reads, ‘Ella 1’.